Golden City featuring...Peking Duck! - San Diego Dining Dish! I haven't written a proper restaurant review in ages! Where have I been? 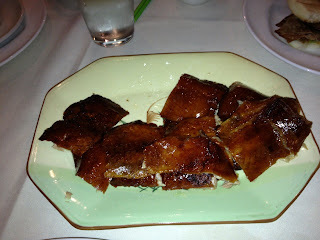 More details on my current, not-so-secret project in the next post, but first, I wanted to do a review on a gem -- a GEM -- of a Chinese restaurant that serves real Peking duck! Like many awesome Chinese places, Golden City is located in a quiet shopping center. The front decor is nothing that noticable, but inside, we were treated to some of the best food and service that I've ever experienced. 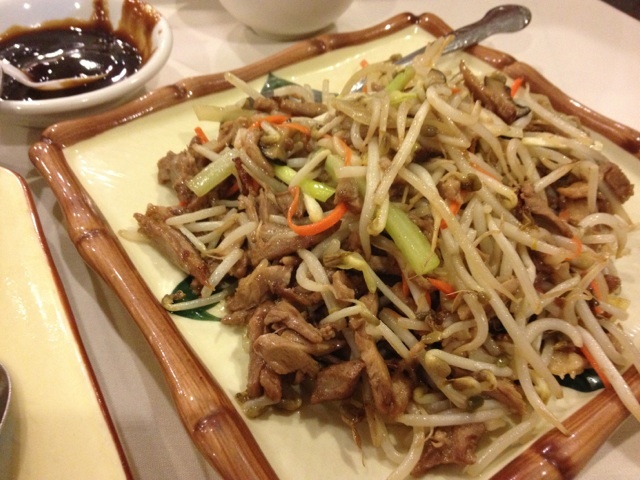 When we walked in, we knew that we wanted one thing -- Peking duck. My friend from the East Coast was visiting, and reminiscent of his time in Hong Kong, he was craving the flavors of cured, roasted duck. I've never had duck served in this style, but I love duck, so of course, I was game (wocka wocka -- get it, game? Duck?). To round out our orders, we chose the orange chicken and the Szechuan beef (can I lay off the spicy for one night? 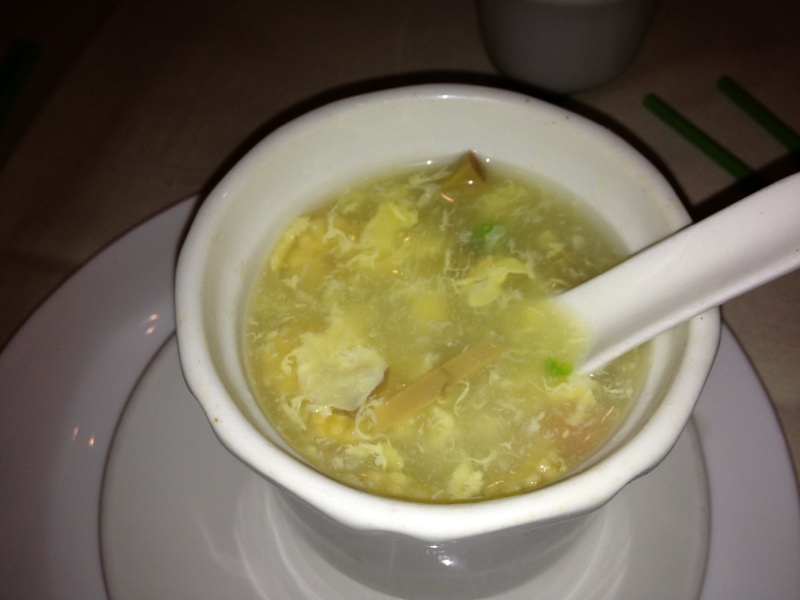 Well, no), a wonton soup, and the egg flower (drop) soup. The soups were divine! My egg drop soup was filled with fresh vegetables, which I've never experienced, but will now hold as a gold standard for egg drop. The soup was extremely flavorful without being too salty, and plenty for two people to share (I ordered the small). The wonton soup was also very generous with wontons (usually, you only get one), and quite tasty, with the aforementioned fresh vegetables. The duck came out shortly after the soups, and was carved at the table, quite a show even for jaded dinners. 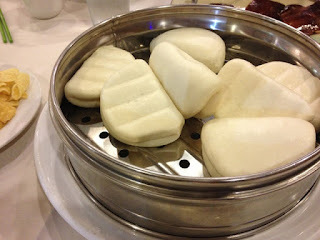 The crispy pieces were served with steamed buns, cabbage, and the delicious sauce, as is tradition. The taste? Oh my, if you've never had Peking duck, find a place that serves it and go now! It truly is one of those things that you must eat at least once in your life. The meat was crispy and sweet, and packaged in the steamed buns with a bit of the sauce and cabbage, was nothing short of dining nirvana. Our other meals came shortly after the first phase of duck, and were thoroughly enjoyed. 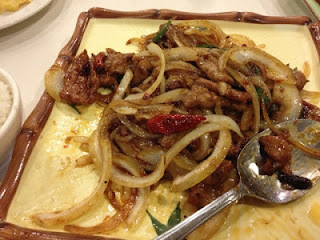 The Szechuan beef was just spicy enough to have a lot of flavor without overwhelming the taste with fire. The orange chicken was a huge serving, and had layers of spicy and sweet, rather than just a simple sweet glaze as is often the case. Both of these dishes had depth, and are certainly things that I would order again. The second phase of the duck came to the table about halfway through the meal. You see, when you order Peking duck, you get the second, non-skin half cooked with bean sprouts in a stir fry. Again, this dish was just as amazing as the rest. The meat was nice and tender, and was purely savory in difference to the sweet taste of the roasted breast. 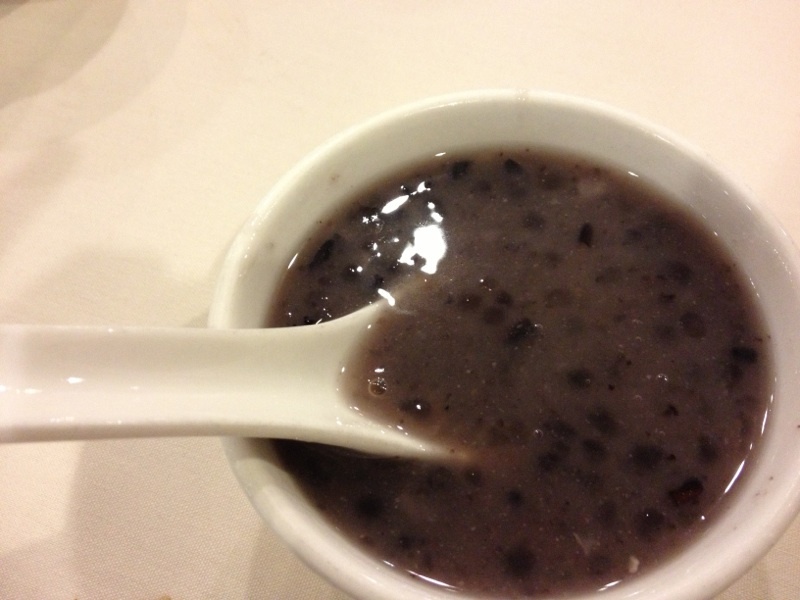 Our bellies were full, but our sweet waitress insisted that we try her favorite dessert (on the house) -- a black rice pudding with boba, served warm. I've never had anything quite like this, but the simple, subtle sweetness was just perfect after such a rich meal.